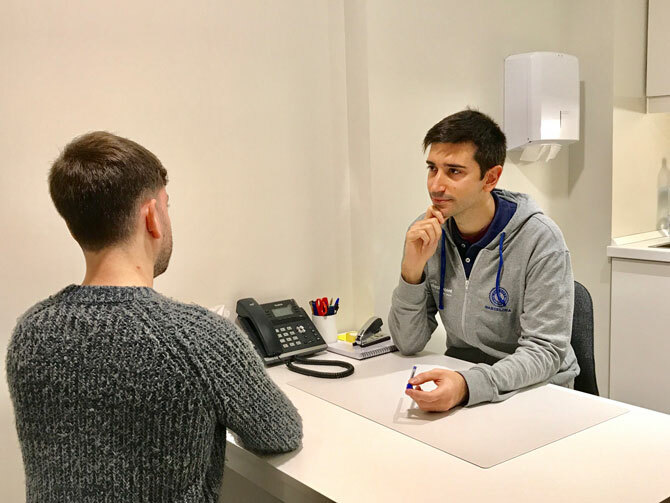 At BCN Checkpoint we offer a psychological care program to those who attend our center and are facing difficult times and need personalized support and guidance. Our service is carried out in a safe environment, among peers, where you can talk freely about all of your concerns with a professional psychologist, without discrimination or judgment, offering you tools and strategies that help to improve your quality of life and well-being. This service is always offered free of charge and confidentially, giving you the opportunity to take your own decisions and to choose your own goals, always tailoring our service to you. Additionally, included in our services, In addition, we have developed a program of specialized care related to ChemSex. With us you will find information, advice on harm reduction and psychological support.